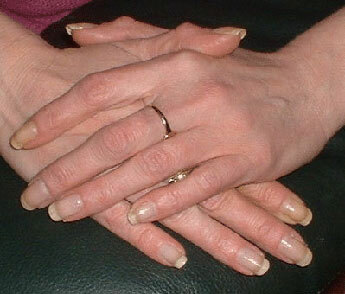 These are the before and after pictures of a lady who had been biting her nails for 37years. She had tried the usual things to try and stop including soaking her nails in the horrible tasting stuff - but she didn't succeed. 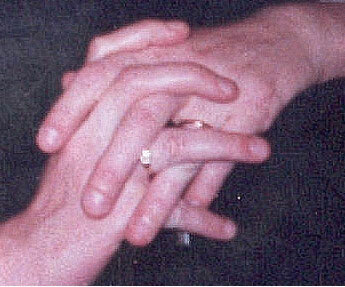 She used to avoid situations where her nails could be seen, like signing documents or cheques. The "before" picture is from a rare moment (hence poor quality pic) when she forgot to hide them. The "after" picture speaks for itself.